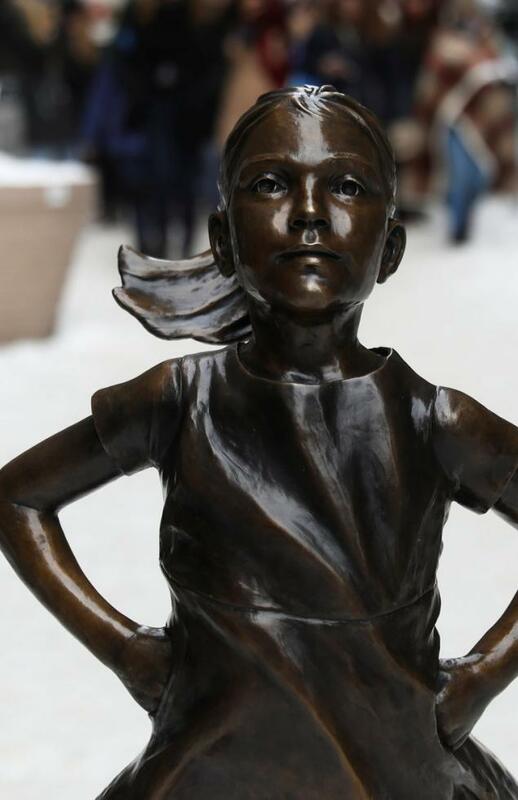 Installed to celebrate International Women’s Day, the four-foot statue of a young girl staring down Wall Street’s “Charging Bull” was scheduled to be removed this weekend. But sculptor Kristen Visbal created both a symbol of the necessity of female leadership and a sensation. Crowds are flocking to pose with the statue; a petition calling for its permanent installation has attracted over 30,000 signatures. The mayor of New York City Bill de Blasio has said that in “standing up to fear, standing up to power”, the statue “spoke to the moment”. This week he announced that “Fearless Girl” will stay until March 2018. Boston-based investment firm State Street Global Advisors commissioned the statue. As many American women prepare to draw attention to their role in the workplace, a Wall Street firm on Tuesday put up a statue of a girl in front of Lower Manhattan’s bronze bull, fearlessly staring it down. CNNMoney’s Maggie Lake talks with State Street’s Lori Heinel about the importance of diversity on corporate boards and in leadership positions. “What more iconic symbol than to put a young girl as a symbol of women” facing off against The Bull. 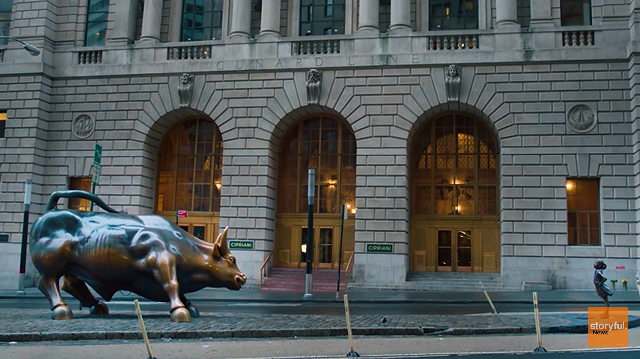 Unlike the Charging Bull, which has become a symbol of Wall Street, Fearless Girl is becoming a beacon for the fight against injustice. It is perfectly symbolic that Arturo DiModica – who put up the Charging Bull in NYC WITHOUT PERMISSION – is offended by the Fearless Girl. @Wemma24 Emma, Thanks for following. You’ll get daily news on NYC travel and tourism, bike news too, plus a photo. This week, the United Nations Commission on the Status of Women will commemorate the 20th anniversary of the Beijing Declaration and Platform for Action, which remains the world’s best blueprint for achieving gender equality and empowering women. The review of this visionary roadmap, adopted at the Fourth World Conference for Women in 1995, is an opportunity to celebrate the world’s progress toward ensuring the rights and opportunities of women and girls, and also to renew and reinvigorate commitments to achieve gender equality. One of the great achievements of the Beijing Platform for Action was the clear recognition that women’s rights are human rights. Since that historic gathering in Beijing, when 17,000 participants and 30,000 activists gathered to voice and demonstrate their support for gender equality and women’s empowerment, there has been increasing recognition that gender equality, in addition to being a human right, is also critical to making development progress. If women and girls are not able to fully realize their rights and aspirations in all spheres of life, development will be impeded. Twenty years on, we can see both progress and challenges in the twelve areas of critical concern laid out in the Beijing Platform for Action. Gender parity in primary education has been achieved, but completion rates and the quality of education are not high across all countries. More women have been elected to public office – about 21% of the world’s parliamentarians are women, up from about 11% in 1995 – but we are still far from parity. More women than ever before are participating in the work force, but women generally earn less than men and, in rich and poor countries alike, carry a disproportionate burden of unpaid care work which deprives them of time for valuable pursuits like earning money, gaining new skills, and participating in public life. And, while more laws exist to protect women from violence, sexual and gender-based violence continue to occur on every continent and in every country, often reaching horrific levels where there is war and conflict. 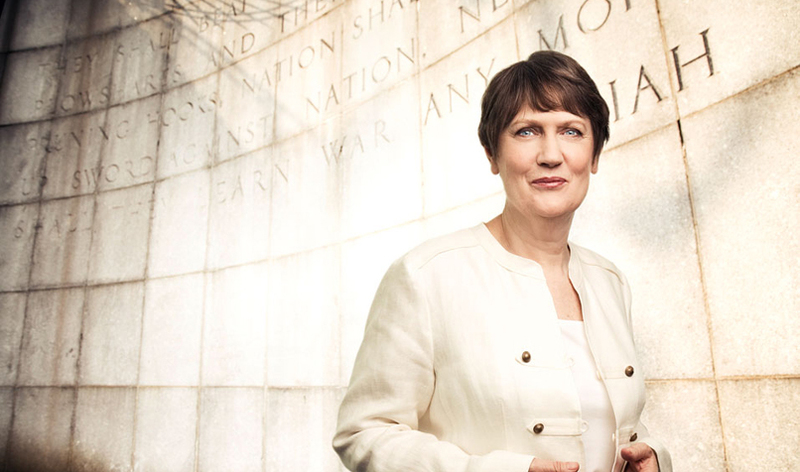 Fortunately, there is encouraging momentum not only to renew the promises of Beijing, but to address issues which were not in the spotlight in 1995, such as the need to ensure women’s participation in responding to climate change, building peace and security, and helping their countries recover from crises. These issues are central to UNDP’s efforts to help partner countries build resilience to sustain development results. By promoting gender equality and empowering women as agents of change and leaders in the development processes which shape their lives, UNDP envisages a more inclusive, sustainable, and resilient world. Today is International Women’s Day, which this year is devoted to the theme, “Empower Women, Empower Humanity – Picture It!” Join me in supporting this call to fulfill the promises made in Beijing 20 years ago, and to realize a world in which every woman and girl has the opportunity to fulfill her potential and enjoy equal rights and status.